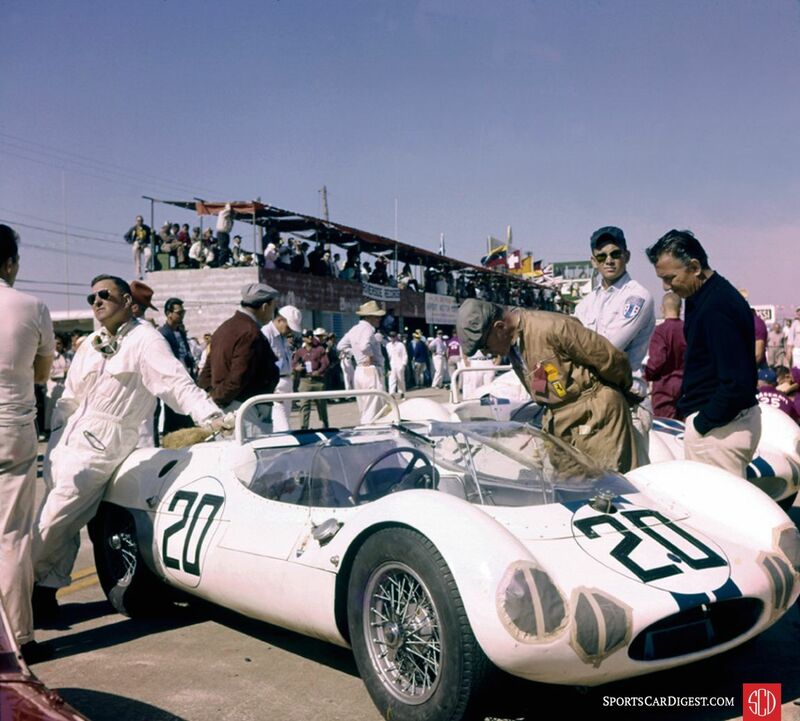 By March of 1961 the controversy surrounding the poorly reviewed 1960 Sebring 12 hour race was forgotten by most. Gone were any threats or boycotts by factory Ferrari and Porsche over the Sebring requirement, in 1960, that all entrants use Amoco gasoline. The Sebring track’s major sponsor, the American Oil Company (Amoco), had withdrawn its sponsorship of the race after the Fédération Internationale de l’Automobile (FIA) dictated that Sebring promoter Alec Ulmann could not enter into any exclusive agreements with companies, like Amoco, and require entrants to use their products. Ulmann protested to the FIA citing that they allowed such an exclusive arrangement for the 24 Hours of Le Mans but the FIA ignored Mr. Ulmann’s argument. Losing your major sponsor didn’t deter Alec Ulmann because he was a genius when it came to marketing and promotion and it didn’t take him long to find another sponsor in the form of Italian airline Alitalia. Not only did Alitalia provide money for the purse and a beautiful sterling silver trophy but they were able to transport many of the European competitors to the East Coast of the United States where they could then arrange for transportation to Florida. The 1961 Sebring 12 Hours race would be the tenth anniversary of what many now called “The World’s Greatest 12-hour Endurance Race.” Both Alec and wife, Mary Ulmann, were going all out in anticipation of a large crowd of race fans and attendance by a “who’s who” of New York and Palm Beach society along with a smattering of Florida’s political big wigs. Later writers would characterize this moment in time as part of the golden era in sports car racing in America. One of Mary’s responsibilities was to see that all the invited guests were well treated and the Automobile Race Club of Florida (A.R.C.F.) hospitality tent in the paddock was the place to find gourmet food, Florida delicacies like gator tail and oysters all washed down by copious amounts of expensive champagne. There was even a fully stocked bar where ARCF members and invited guests could find a drink long after drinking establishments outside the track were closed. More than one guest would spend the entire race in the hospitality tent eating, drinking and smoking cigarettes. In the previous ten years Sebring had built up a national and international following as well as a host of sponsorships by both national and international companies. For those involved in motorsports Sebring was the place to be. Going to Sebring and sunny Florida in March was also a good excuse to get away from the frozen regions of the U.S. and Europe and Florida complied with bright sun and mild temperatures during the entire week before the race. More than one participant at Sebring in 1961 returned home with a sun burn. 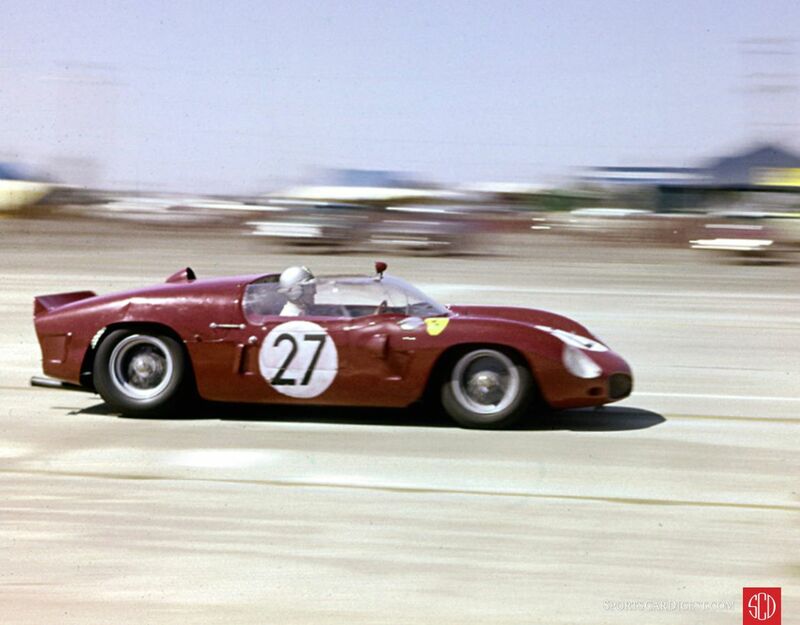 The 1961 race at Sebring was getting a lot of attention in the international motorsports press because it was the season opener for the International Manufacturer’s Championship that was sanctioned by the F.I.A. and Porsche would be returning with seven entries as they hoped to repeat their overall win from the previous year. Thank you a great read in to the history of 1961. It bought back memories I have of the Springbok series in South Africa and Rhodesia when I was a young lad. I would get excited weeks before the event as you would see the trickle of internationals cars and teams arrive and set up in local garages. In those days you would see ferraris, Lola’s and others on open trailers out side hotels over night. Try to imagine that happening to day! What a great early Christmas present from Mr. Galanos and the team at Sports Car Digest. Thanks for this excellent read, so wonderfully paired with images that stir the heart. Thanks to all. Loved the story, and the pictures. Thanks for printing such wonderful material. Another great Louie Galanos gem. Great photos to illustrate his detailed research and stories. You can get a lot of photos of east coast races from Lime Rock to Sebring at barcboys.com. As Galanos said, 1961 was a fantastic year. I was there and his story brought back many a memory. Can’t wait for more. masterful work. thank you for another great look at a moment of history with beautiful people and automobiles. Another extremely insightful Sebring story from Lou with many little known details supplemented with great BARC Boys and Florida Archive photos. As a former SAAB racer loved the photo of the SAAB on the track and mention that they were the “Official” track cars for the race (front wheel drive though not four wheel drive). Would like to see all of Lou’s Sebring articles in a book some day. Great, again, thank you so very much for this incredible account Lou! Thanks for sharing this wonderful story and those great photos. I’m honored to have met both you and Dave N. (BARC Boy) – when you share your stories it is like touching history. I spied one pair of Suixtil pants, of course in one of Dave’s photos. Randy has a great idea, a book of all Lou’s stories! thank you for such and an excellent article and photos.. Enjoyed another excellent article with some interesting insights. Thanks. Remarkable pictures of a, sadly, bygone era. Many thanks! Fabulous photos and a great story. Here in the Uk we don’t hear enough about the great days of Sebring. Thanks. What a terrific recount. You really brought it home! Thank you! Another fantastic and detailed Florida racing story with lots of great (now us old farts must admit “historic”) photos. We BARC Boys had a great time there in ’61. Thanks for bringing that fantastic week back to life. Excellent Excellent Excellent ! Much is written about LeMans and Indy but back in the 50’s and 60’s Sebring had that special mix of ingredients that was magnetic. Old southern charm,warmth, extremely talented drivers from around the world and an unbelievable array of manufacturers ! Did I mention the girls ? Blast from the past, having grown up in a racing car family, my uncle Rafael Rosales from San Juan Puerto Rico entered several of these races, ended up co-piloting with Strirling Moss at LeMans in 1962 and 63 with a DNF and a 5th place. Great memories and excellent photos, still a huge fan and vintage BMC collector. Outstanding article. Thank you for bringing back great memories with so much detail. golden age of endurance racing in America. 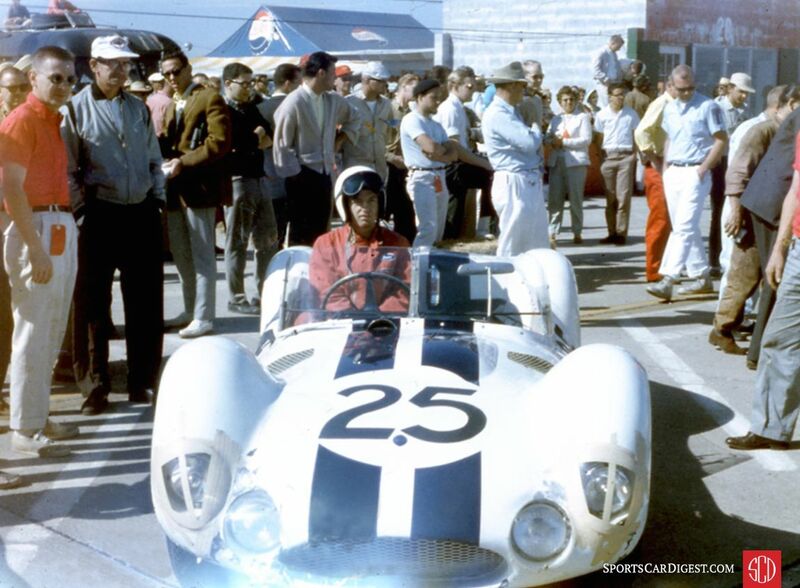 Dear Alec, As a student at Princeton in about 1965, I had the pleasure on one occasion of hearing your father speak to a small, informal group of us young sportscar enthusiasts in a small classroom one evening. It was an extremely exciting experience for us! In 1970, while serving as a timer in the pits of #30 Ford GT40, I saw that fine gentleman from a distance. Years later, in 1986 I attended his funeral in Brick Church on Park Avenue, and, as sad an occasion as that was, I was fascinated to recognize in the congregation a number of greats from the world of racing paying their respects, including Luigi Chinetti and the Dreyfus brothers, Rene and Maurice. I was there as a student. A wonderful recounting of all that I saw and that which I missed. What wonderful times! Thank you, Mr. Galanos for this wonderful story with so many interesting details that bring back those golden years of racing. Another great retelling of an epic vintage racing event. If only to invent a time machine and go back to see it first hand. This is the next best thing available. Love the photos. Thanks for reminding me of what was the best time for racing (except for the awful lack of safety equipment). Today it is too corporate and far too aero dependent. Not to mention expensive. I had not seen the picture of the AC Bristol my father, James, flipped in the race. He should have stuck with the Ferrari he raced the year before! Very good story and narration, thank you very much for bringing insight and details from those great racing times ! You mention one of the races previous to the 12 Hours of 1961, and you made a comment on a race driver who raced on the Formula Junior race, named Lollobrigida, who some claimed was a cousin of Gina Lollobrigida. In fact, he really was cousin to Gina. ! He lived and raced In Venezuela for many years, before moving back to Italy. He made and directed several movies in Venezuela. Unfortunately, he passed away recently on January 2014, I am sure he would have been very happy of your mention of him. Thank you for the great details and fine photos. To these 2015 eyes, the Ferrari Dino 246 SP was anything but “ugly” as described in a 1961 magazine article. Regarding one of the comments — well-meaning, no doubt — “Southern charm” in 1961 was great for some but horrible for others because of racial segregation. Just as we should remember our racing history, we should also keep the lessons of our social history in mind. Louis I always enjoy your postings, the photos and stories are outstanding. Thanx for posting this great account of the ’61 race. “Race” doesn’t really seem like a big enough word to describe what Sebring is all about. Sixty one was supposed to be my first time there but I couldn’t put it together. Now because of you I feel like I really was there. I did make it in ’62 and from that time on have only missed a few. I live in Sebring now so no excuses for missing an event. My fellow classmates and I were heading south from Northern NJ to Fort Lauderdale to become part of the trouble that would eventually happen that year. Someone got the bright idea of stopping off for some kind of sports car race in a town on rt 27 called Sebring which just happened to be in the direction we were heading. It was at this event that one eighteen year old clueless young man became hopelessly addicted for life on the extraordinary world of endurance racing. To say the world’s best pictures do not do this race justice is an understatement only appreciated by those luckily enough to have been in attendance on that day in March 1961. It’s so true, those years, regardless of money or technology, cannot replicate the originality and naked drama from a time given to almost zero technology and low budget entries. It truly was the age of the unpretentious driver and his crudely assembled machine racing on casually designed tracks with safety as an afterthought. Thank you Robert for those well written and eloquent words from someone who was there. Happy Holidays to all who have commented on my story. Thank You Louis. You’ve taken me to another race. I could see it, hear it, even smell racing fuel and wood fires. In my opinion, you have become the preeminent writer of what to many of us were the Golden years of competition. I could feel the political setup and each stage of the race. I’ve read twice now. Lifelong associations like Bob Holbert and Roger Penske, the emergence of the Rodriquez brothers. The freedom of engineering development that led to so many variations on the grid. Your stories expand my horizon of Motorsports and Sebring and again, I thank you and Sports Car Digest for that. Thanks Burt and thanks for all the help you and your late brother gave me for several stories I have had published in Sports Car Digest. Merry Christmas. What a wonderful Christmas gift to receive early, early this Xmas morning while doing a nostalgic perusal of the web seaching for info about the Sebring races. Something reminded me of my dream car (1959 Ferrari 250 GT California) which then led to thinking about the great time I had as a high school senior at the 1972 race, and I was just reminiscing with a big smile on my face seeing Mario Andretti’s Ferrari again! I couldn’t turn off my tablet to hit the sack! Thank you so much, Mr. Galanos, for this fascinating and exhaustive report on one of the earlier race days at Sebring. Outstanding! 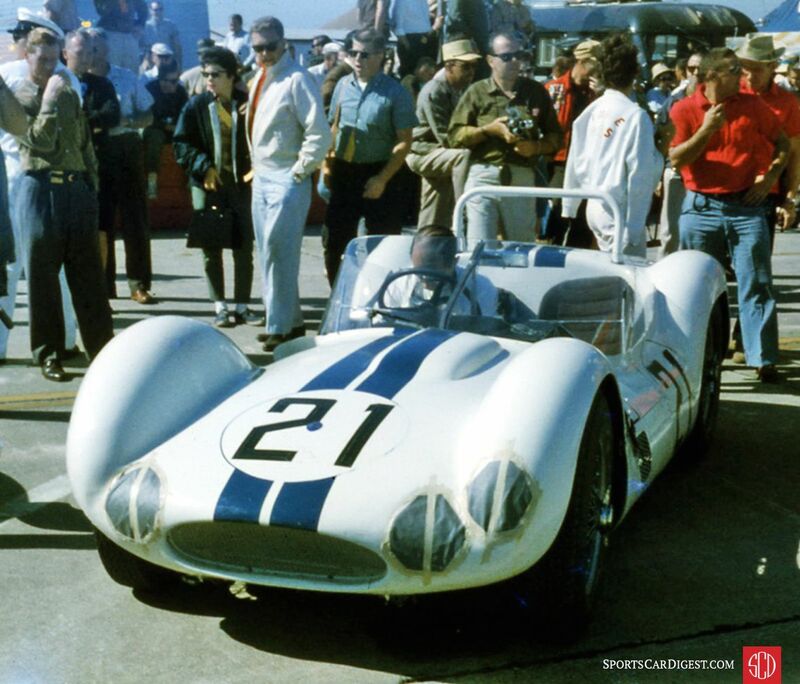 Louis: What a great story/pictures of the events at Sebring. You make one feel that you are there in the “golden Age of racing” and the great names of the time. Even the pictures of the fans cars bring back memories. Keep up the great work. Louis: Thanks for another great story showing the talent of the Rodriguez brothers, I wonder where did you get the comment of Don Pedro Rodriguez celebrating at the local bar, but it was absolutely true (and a common practice by Don Pedro). He was another remarkable person behind the scenes supporting Pedro and Ricardo at all times. And for the records, Pedro’s female friend on one of your pictures is Angelina Dammy de Rodriguez, Pedro’s wife. Enjoyed the history lesson and the pictures as usual. Thanks Lou. Thanks Corey, I have also had that idea in the back of my mind. Unfortunately books today generally don’t sell well and as a result many bookstores have closed. If I publish it will have to be self-published and I am not sure if I am ready for that. Thank you Louis: I notice that you are a fellow Floridian. My late brother George and I came over from Ft. Lauderdale with a couple of friends for that race, and the next four after that. It was the first any of us had ever attended. I was a half-crazed sports car nut, starting in 1957 when I spent the day with a pile of Road & Track magazines found on a family visit to my uncle’s home in Ohio. I especially remember the front-engine Ferarri TRs, watching them for hours howling down the pit straight in the early evening. The bizarre Maserati T63 was…well, fascinating. I also fell in love with Porsche Spyders. I was fired up, seeing my fantasy cars with motion and sound after only being able to read about them for so long. Years later, I serially owned four ’60s V12 Ferraris (and raced one! 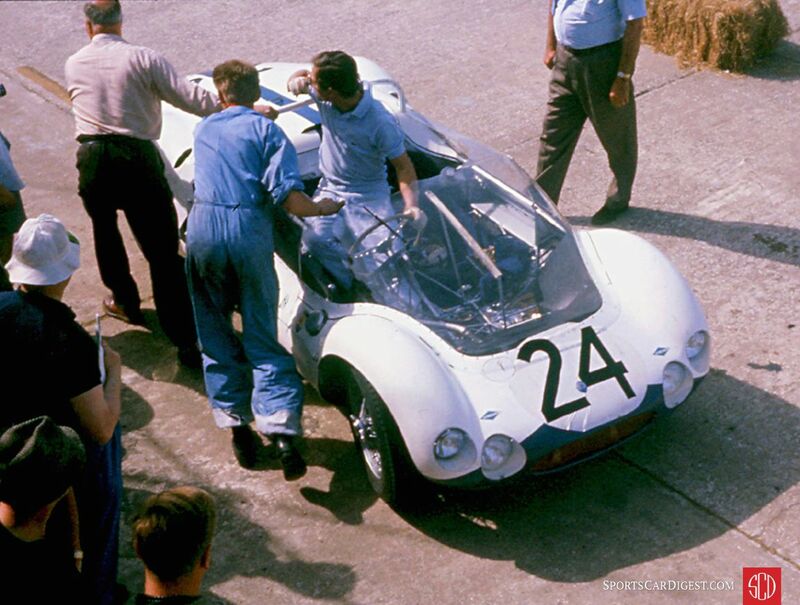 ), a 1957 Porsche 550A, a Formula 1 Brabham BT-26A that I watched finish 2nd to David Hobbs at the Sebring Continental in December 1969; and some other race cars of that ilk that I drove in vintage races. Wish I still had them, but I sure enjoyed living my dreams. 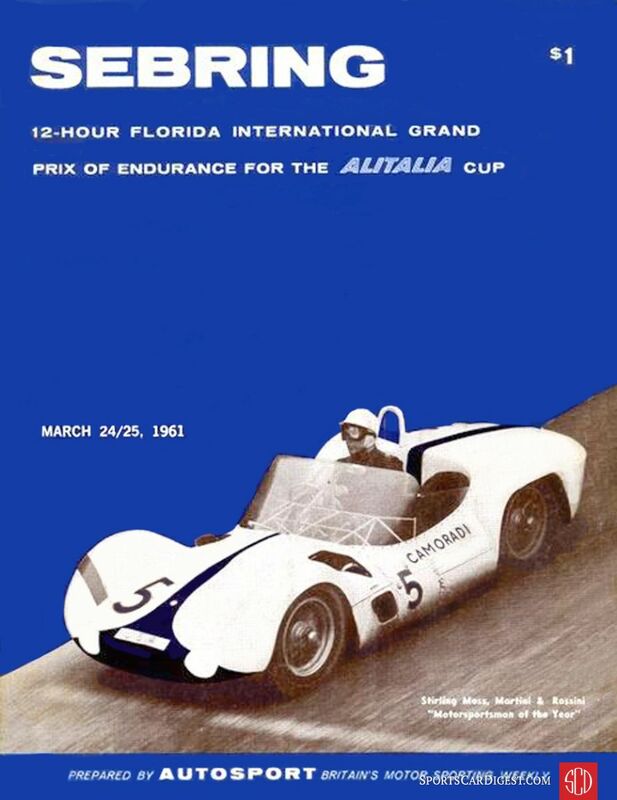 I’m looking for materials for the 1961 Sebring 4 Hour race,particularly photos and other information of Abarth 1000 who participated in this race. Because I own the same type of Abarth 1000, which is totally unknown, but it may be one of the cars in this race.